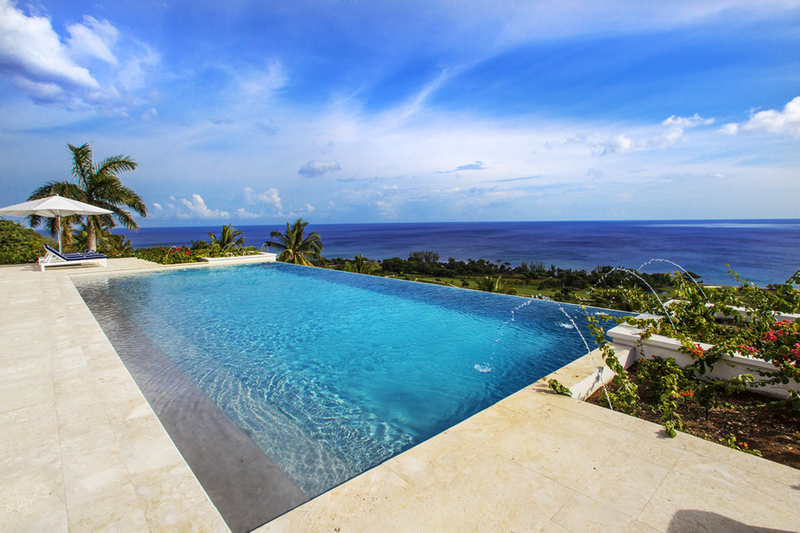 7 bedrooms, 7 bathrooms, spectacular sea views!!! 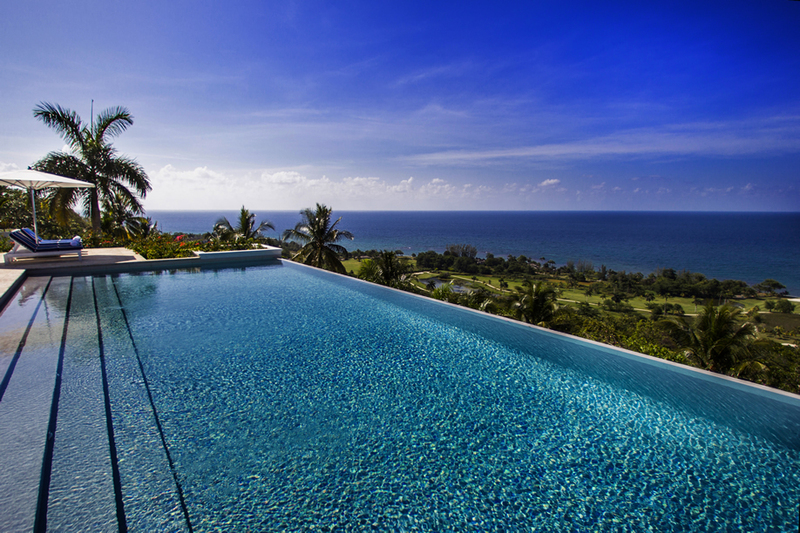 4 minutes golf cart ride to the beach. 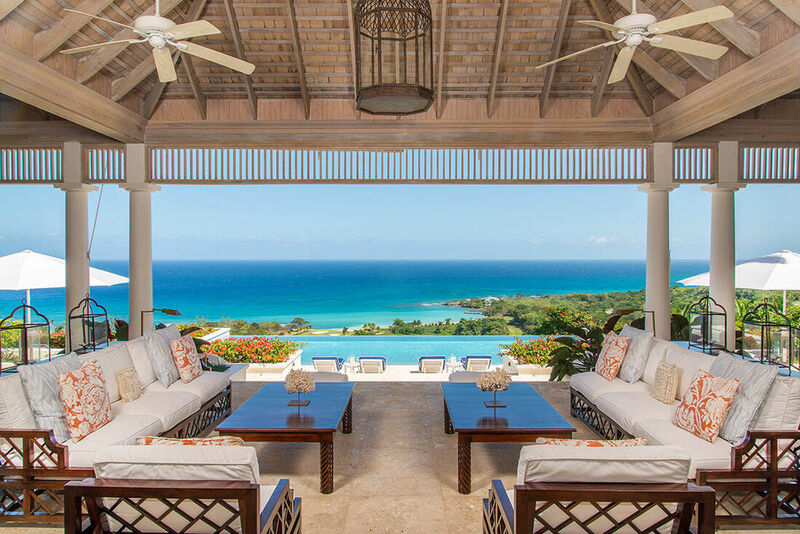 Hummingbird House, is the newly refurbished Premier villa with 7 luxury bedrooms! 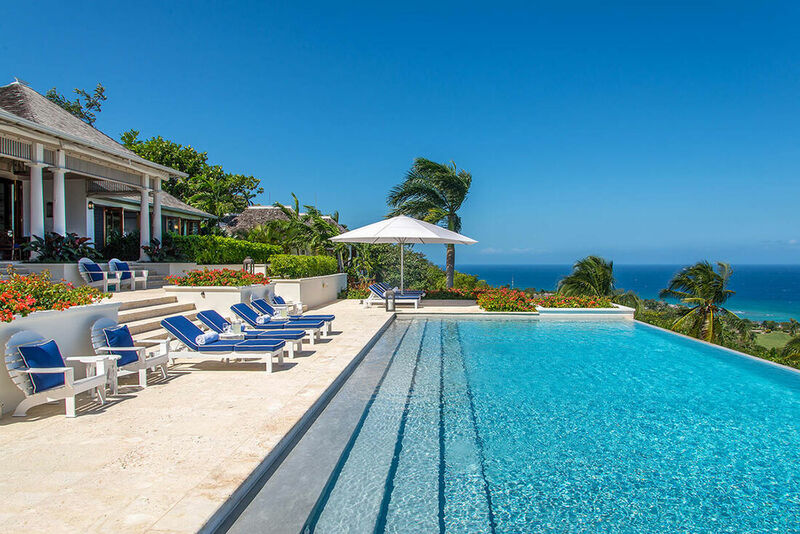 Hummingbird House is one of the finest villas located within the world renowned Tryall Club estate. 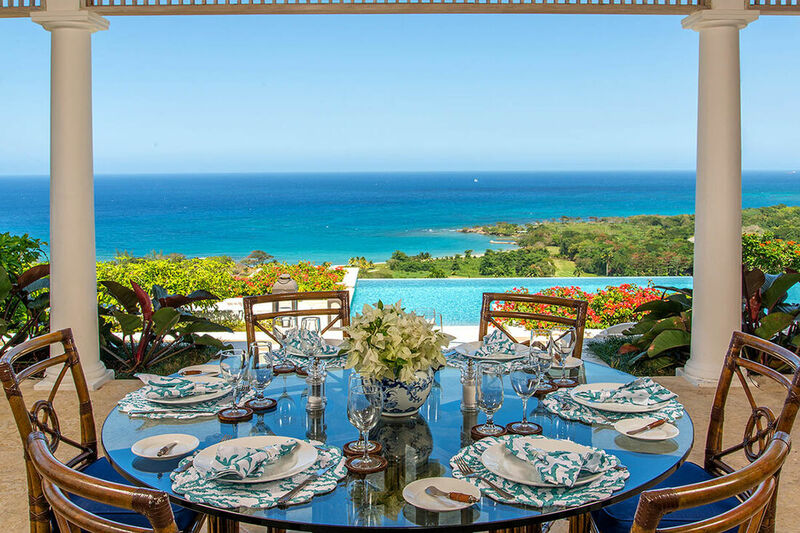 Located on four acres of lovely gardens on the prestigious Barnes Hill, the 14,000 square feet of residential area offers magnificent views of the Tryall greens and the sparkling Caribbean Sea from every common area and bedroom. 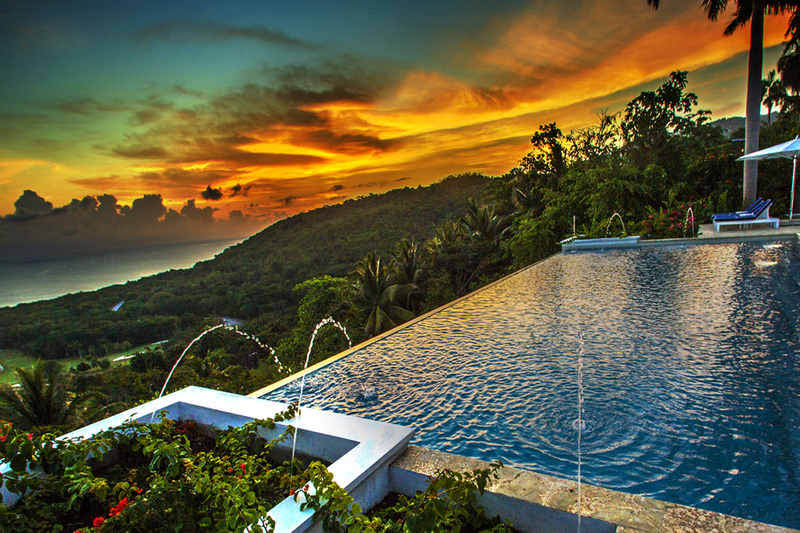 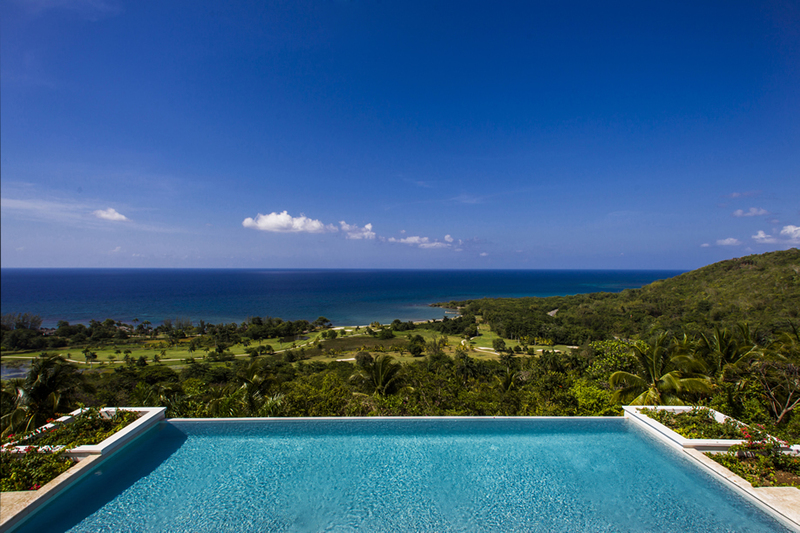 The spectacular 50’ infinity swimming pool is perfect for enjoying picturesque ocean views. 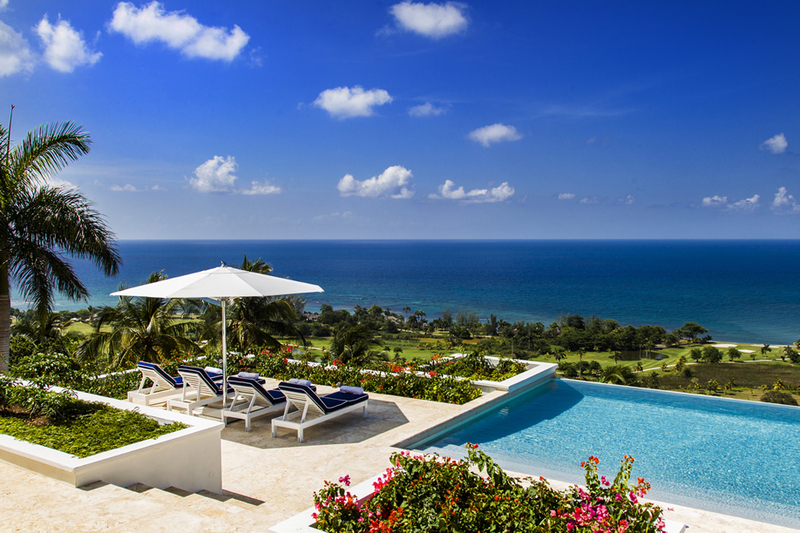 Recent renovations and expansions have completely uplifted this premier Jamaica villa. 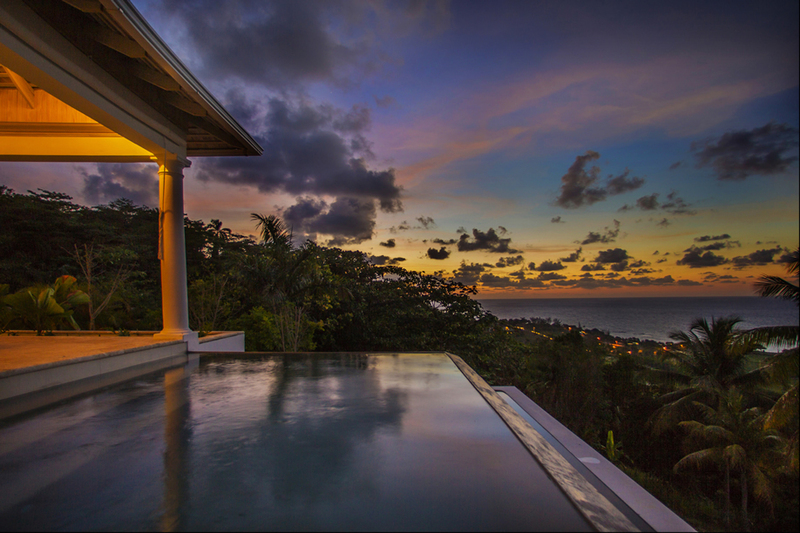 Altogether, Hummingbird House offers seven luxurious bedrooms, including two fabulous master suites. 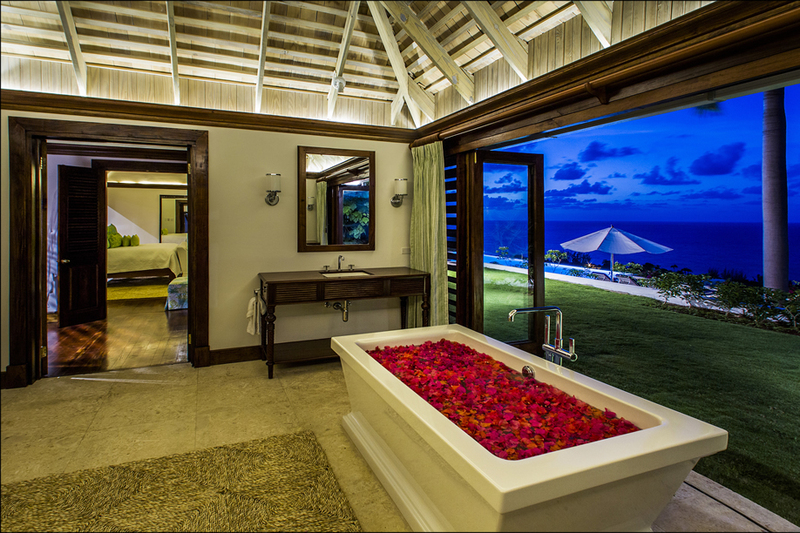 One master suite has its own magnificent soaking tub, while the other has a private plunge pool. 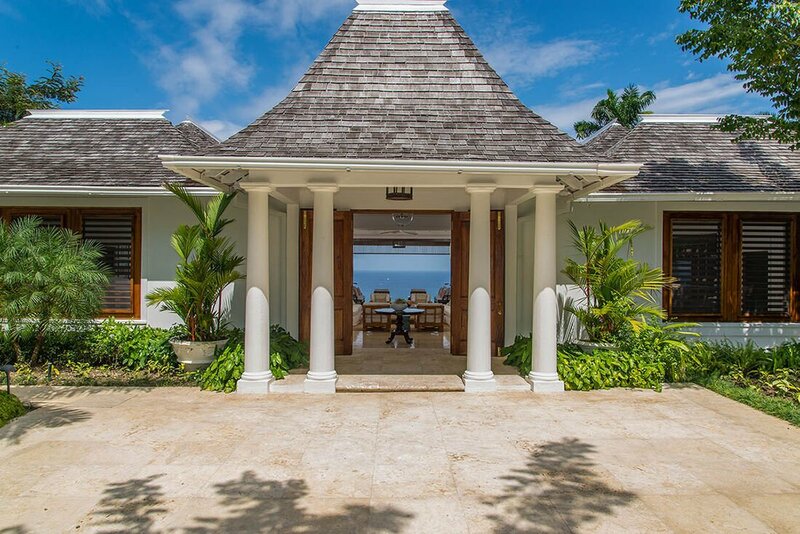 Five bedrooms have outdoor showers while all seven have en suite bathrooms. 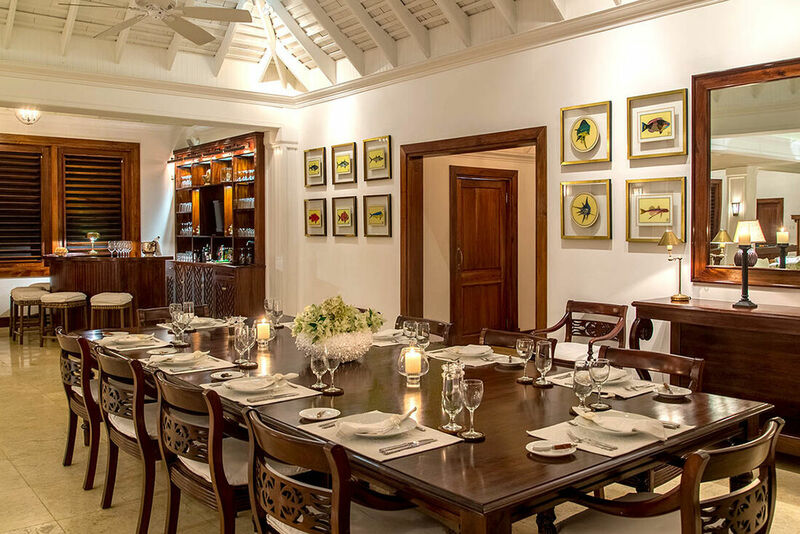 Hummingbird House has a perfect configuration for two families with children, for large family gatherings in holidays or for special events, such as corporate treats or weddings. 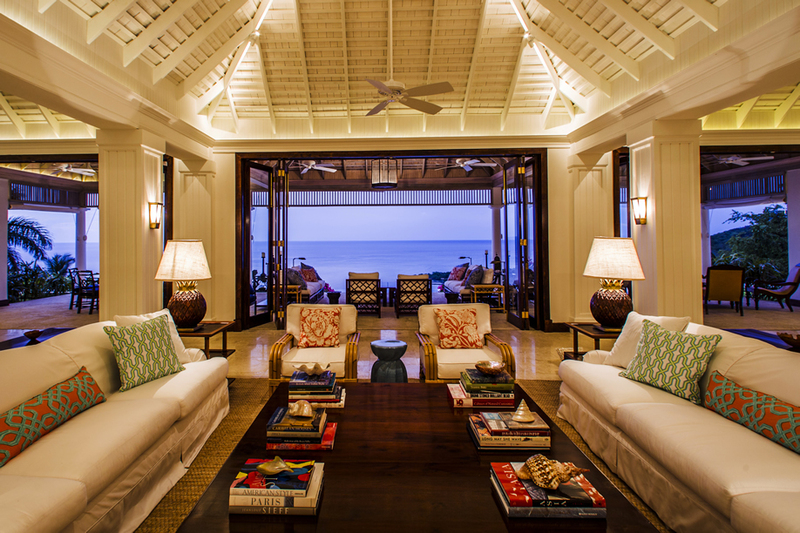 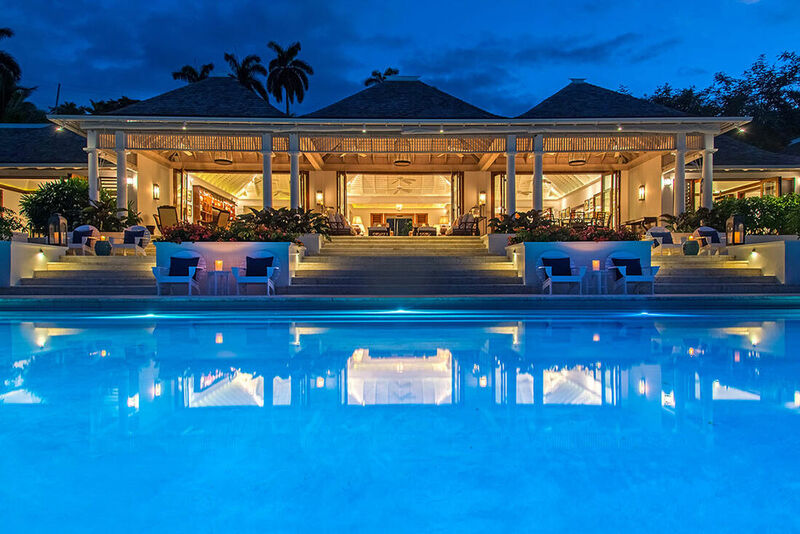 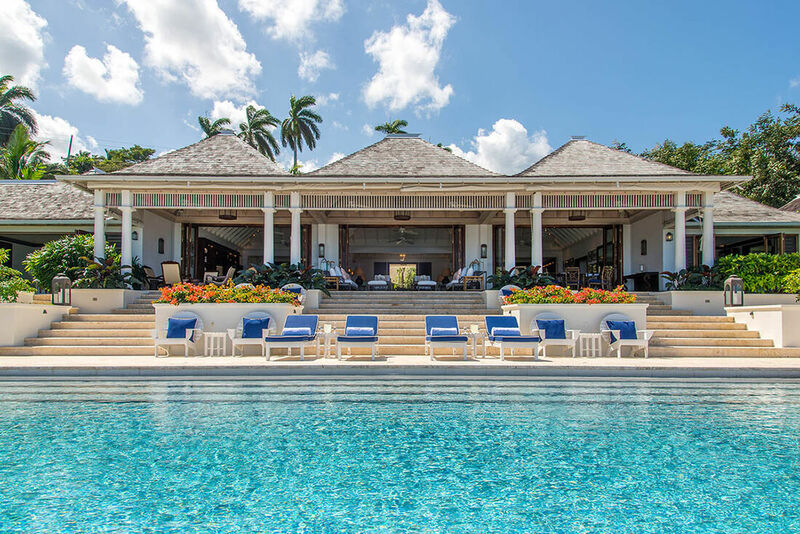 Guests have the option to rent five, six or seven bedrooms at this luxury villa Jamaica. 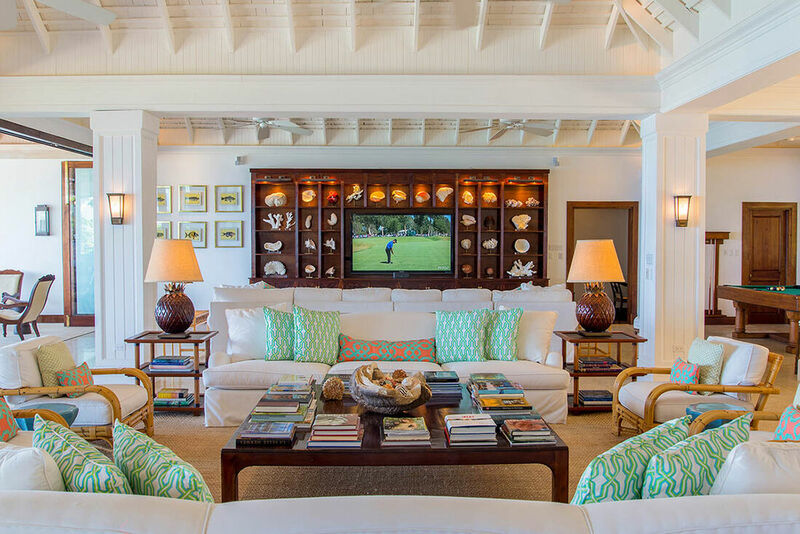 Hummingbird House can accommodate fourteen persons comfortably. 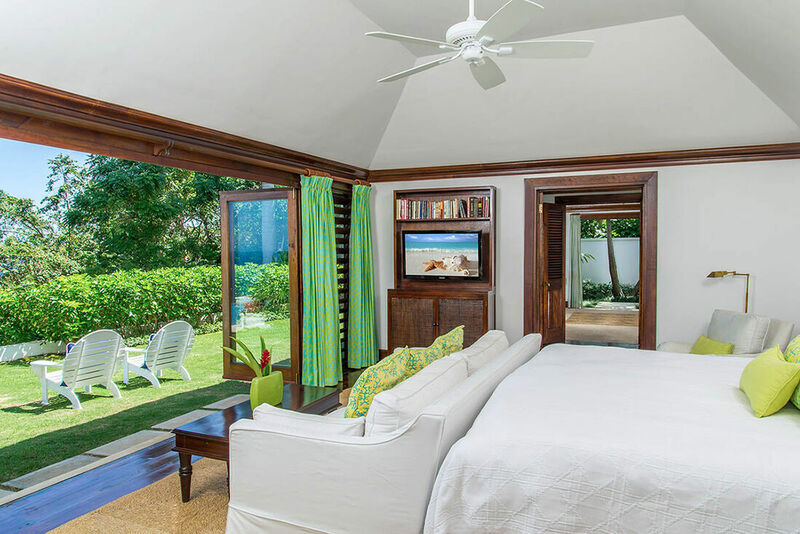 The bedrooms are furnished with king-sized, queen-sized or twin beds, which can be adjusted according to the guests’ preferences. 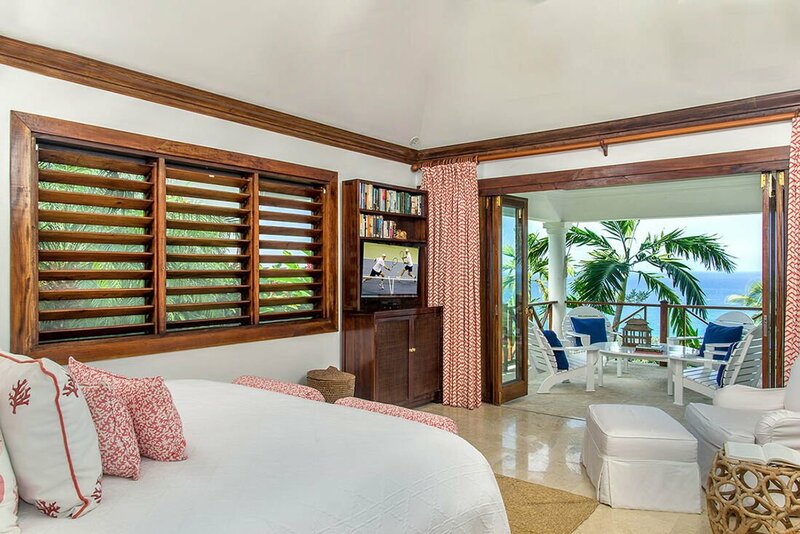 All bedrooms are equipped with flat screen HD televisions. 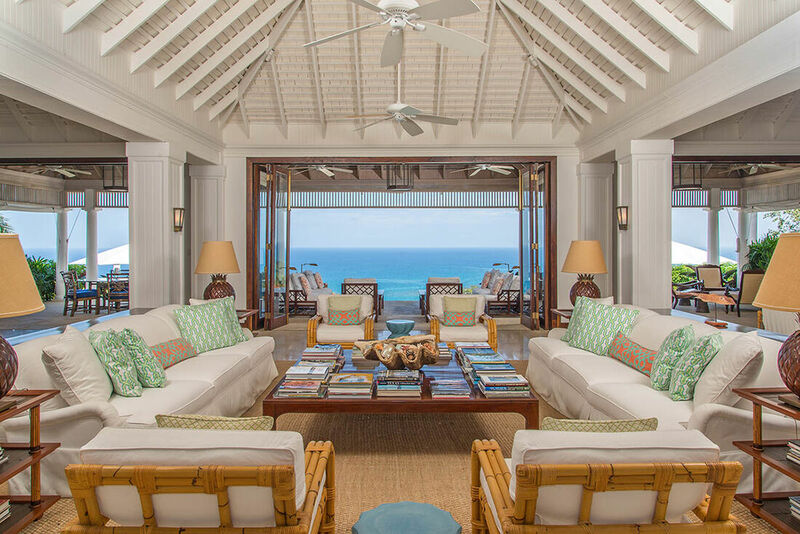 The grand living room is the largest room at Hummingbird House and features a library, Cathedral ceilings, a card area and a music area with a Steinway grand piano. 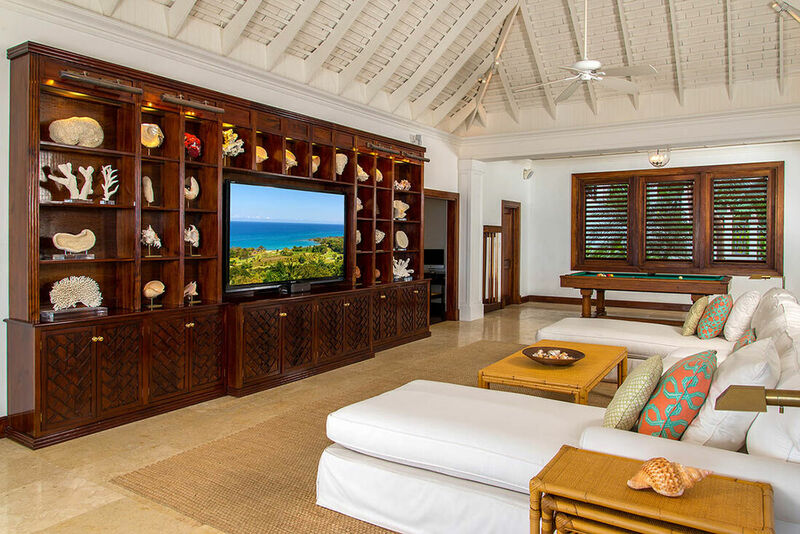 The living room also has a Wi-Fi media center and a 70’ HD flat screen television. 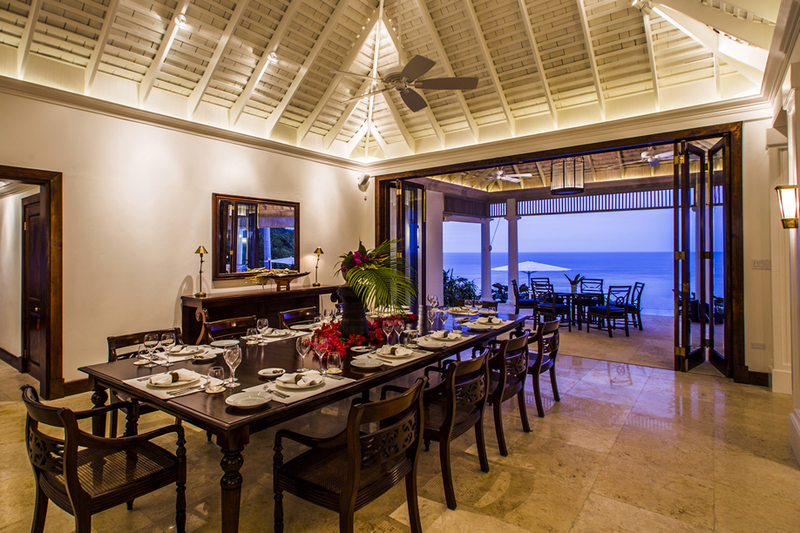 The formal indoor dining room is furnished with a rich mahogany dining table that seats twelve persons. 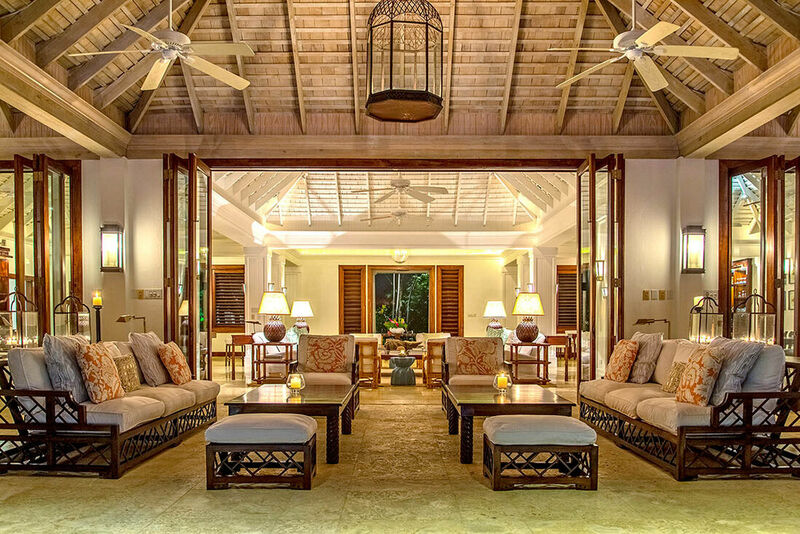 The welcoming staff ensures that all guests have a relaxing and enjoyable holiday. 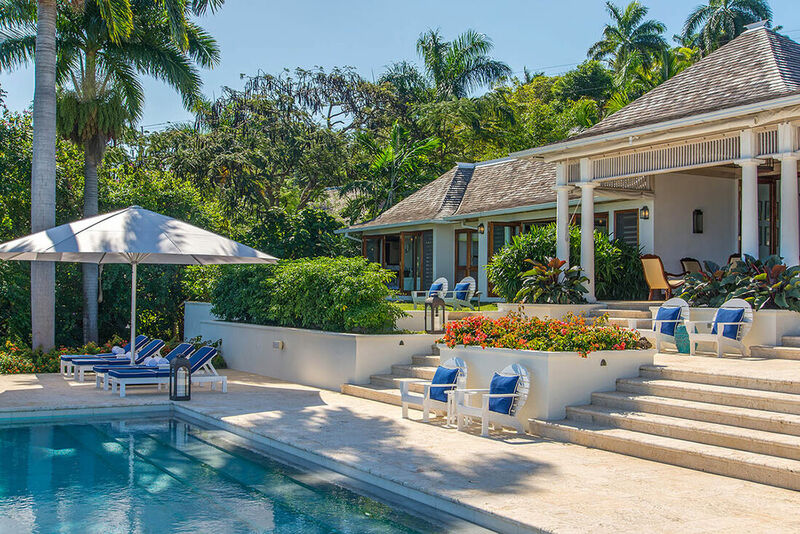 The butler, chef, gardener, pool man, laundress and housekeeping staff aims to please and indulge the guests’ every expectation. 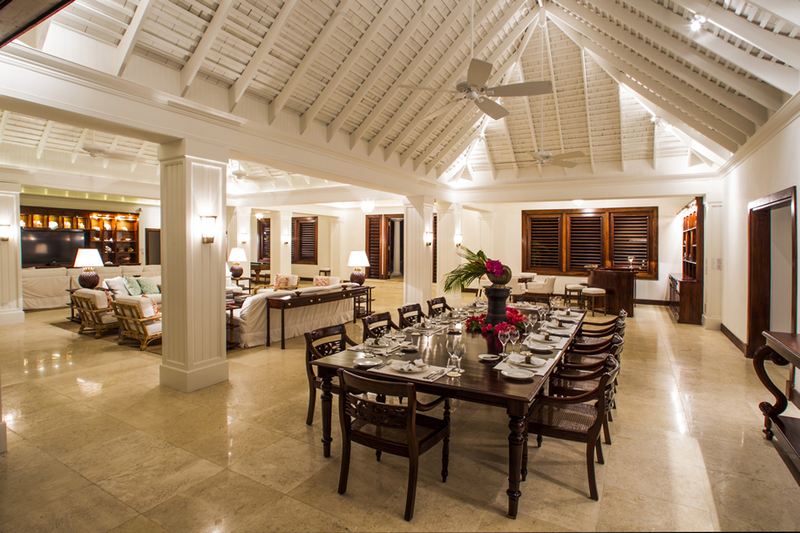 The outstanding services offered by the staff won the Best Villa Award for Service for Hummingbird House. 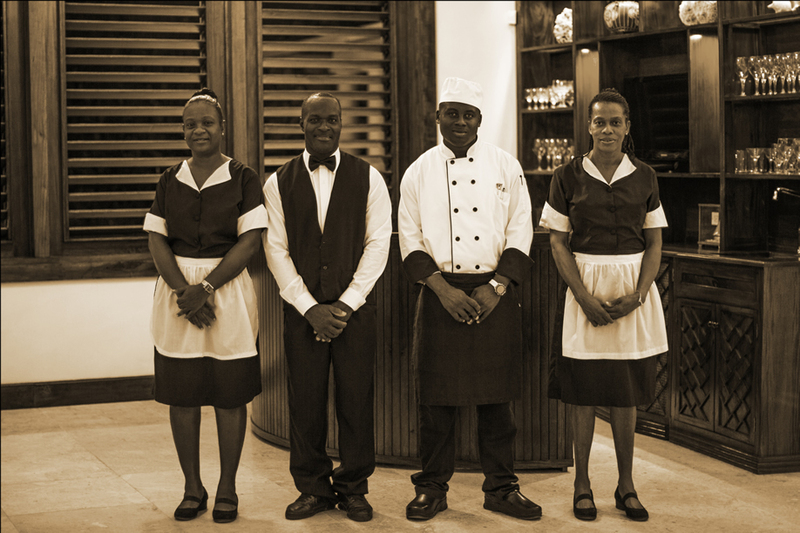 Lurline deserves special mention as she is an excellent cook and has been the head of the household for over 19 years. 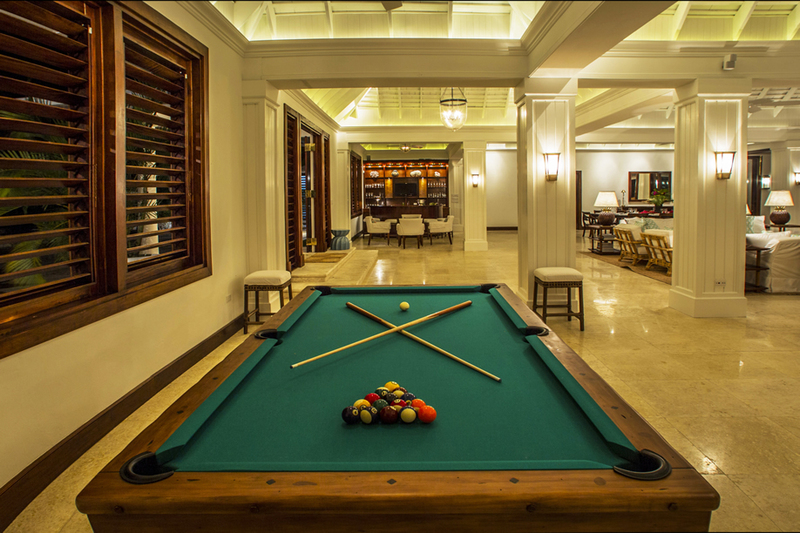 A complimentary shuttle is available to take the guests to the excellent resort facilities offered by the world renowned Tryall Club. 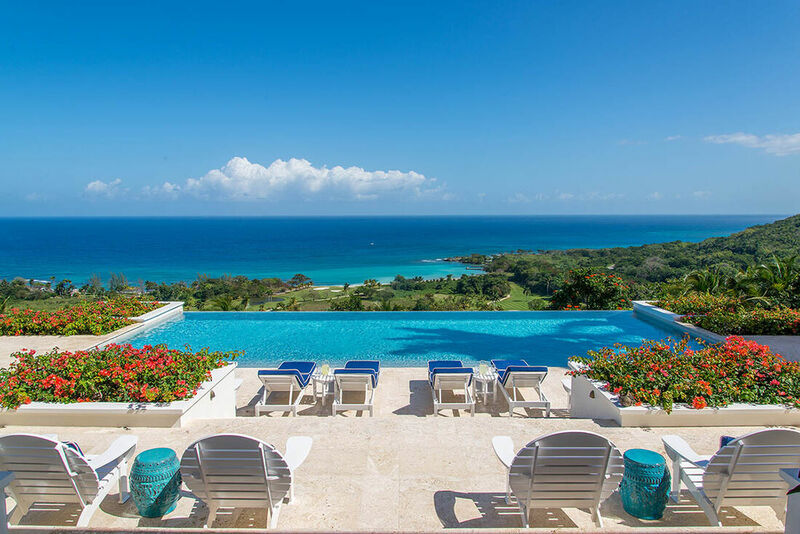 This villa in Jamaica offers a lovely ambience, several outclass facilities and proximity to Tryall, which make it one of the most exclusive villa rentals in Jamaica. 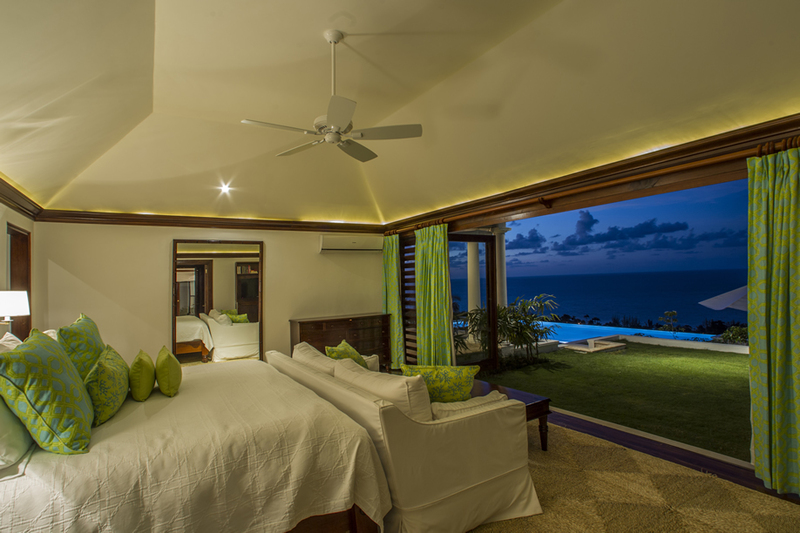 Bedroom #1: Kingsize bedroom with northern views towards the Caribbean sea, and doors opening to the east for garden walk out views. 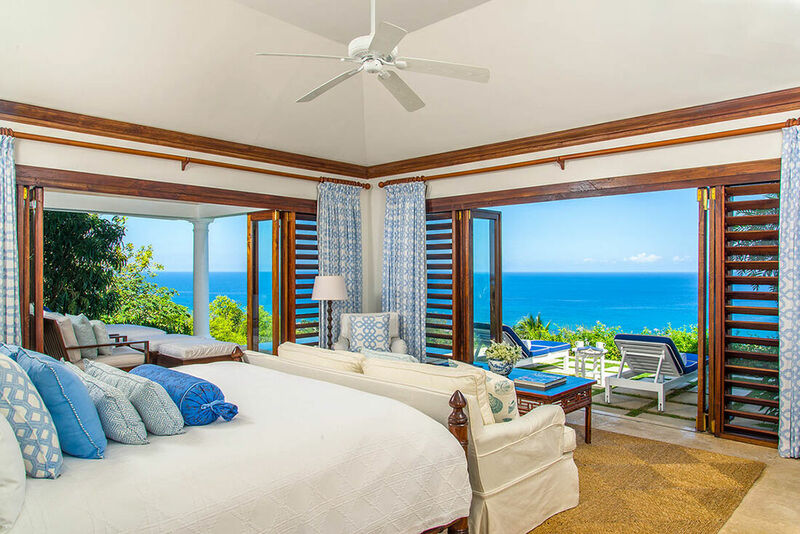 Master Bedroom - King size bed, sea views, very large bedrooms with indoor double shower, and outdoor shower, bath tub, bi-fold doors that open out to grassy area. 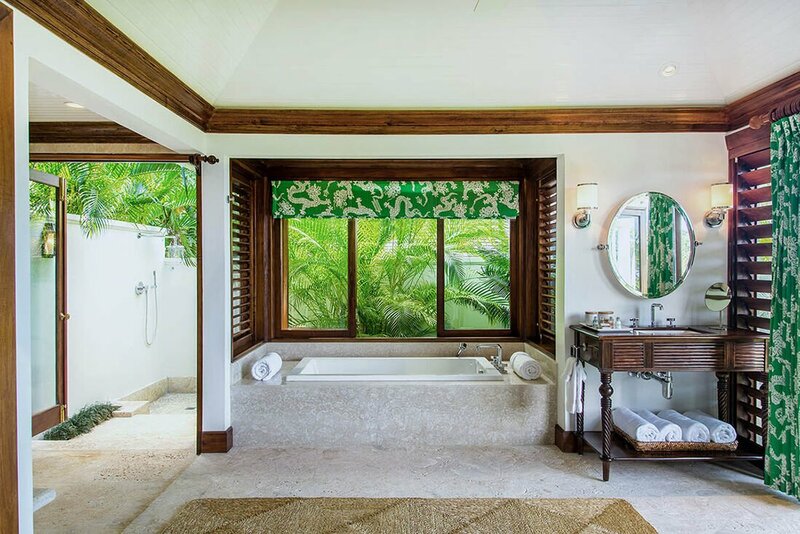 Size of bathroom is about 16 ft x 16 ft – large and airy and very impressive. 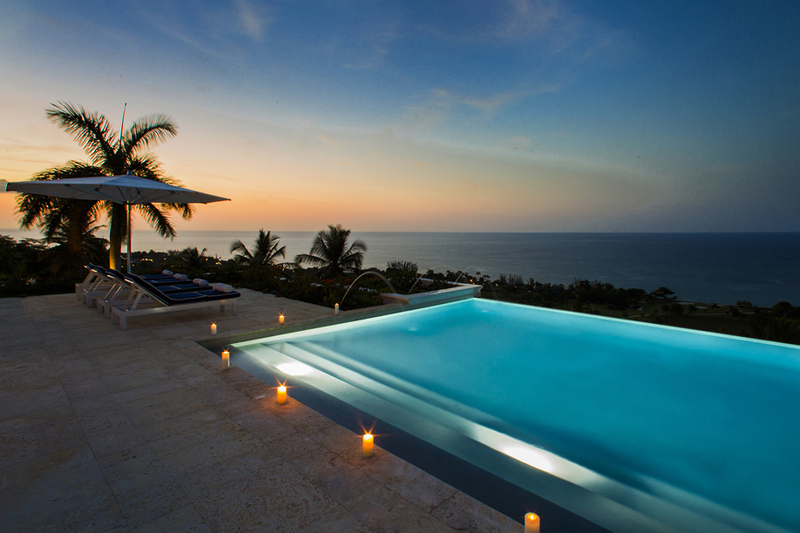 Bedroom #7 – Master bedroom with OWN INFINTY PRIVATE SWIMMING POOL!! 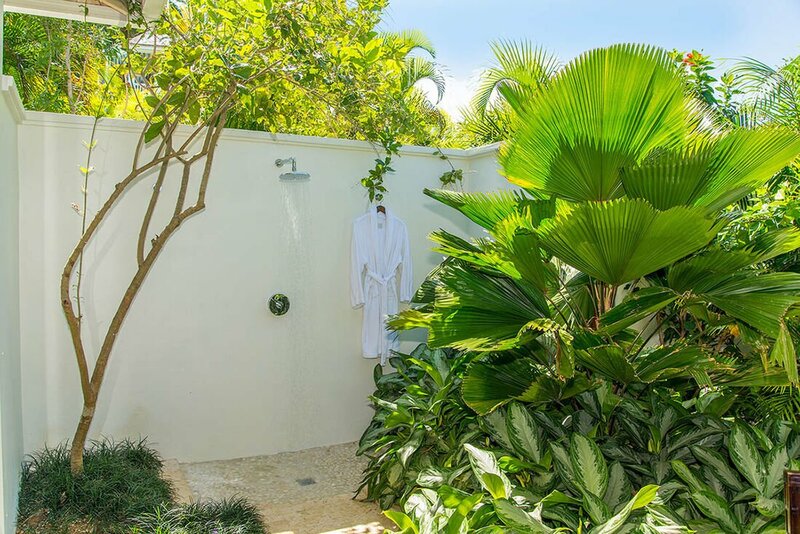 !, mini bar – very impressive suite with outdoor showers. 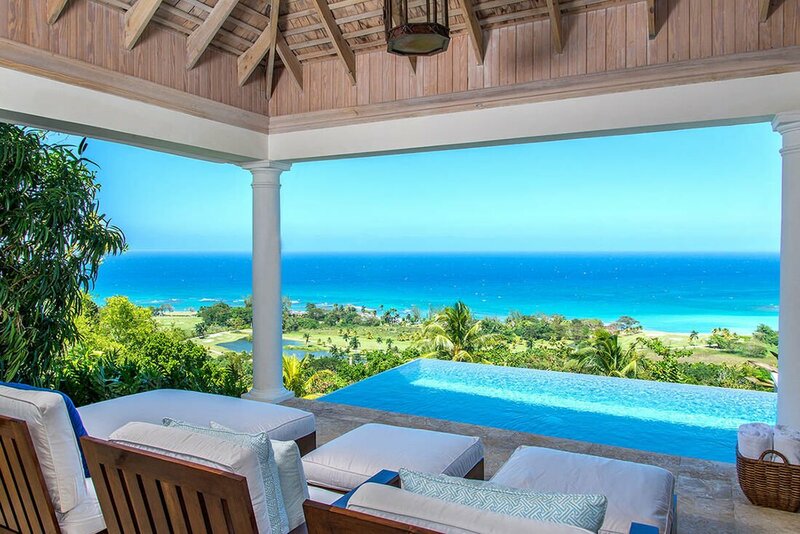 180 degree views of the Caribbean sea. 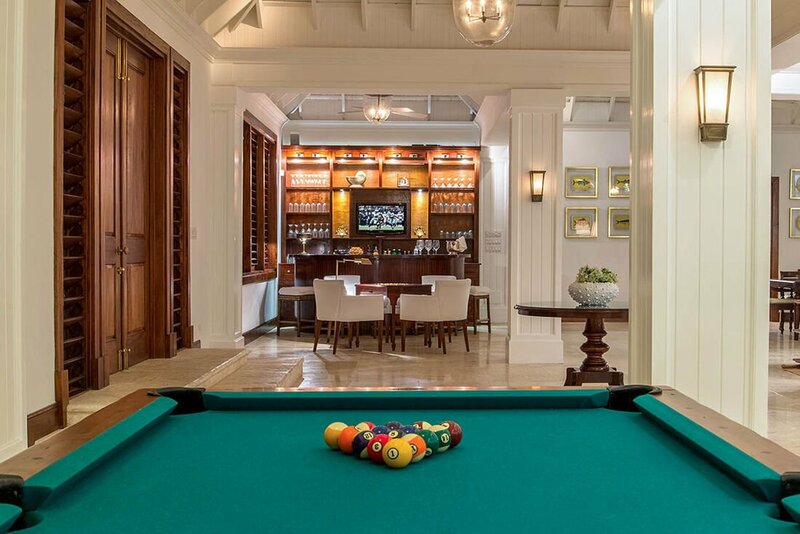 Security deposit of $1200.00 is required prior to arrival. 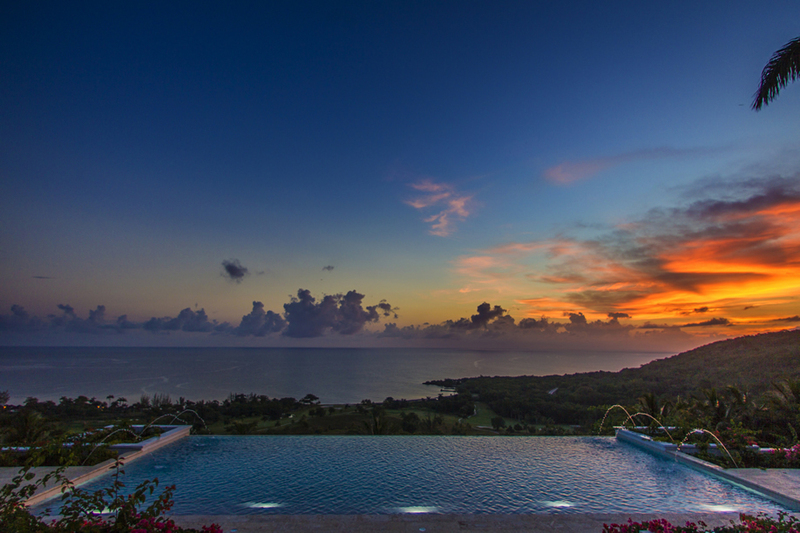 READ MORE ON THE COST OF THE TRYALL CLUB TEMPORARY MEMBERSHIP FEE.